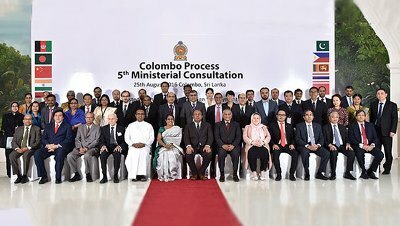 Foreign Minister Mangala Samaraweera on Thursday (25 August 2016) inaugurated the 5th Ministerial Meeting of the Colombo Process (CP) at the Galle Face Hotel. Sri Lanka is the current chair of the CP and accordingly Foreign Employment Minister Thalatha Athukorale chaired the ministerial meeting as the incumbent chairperson. Director General of the Geneva based International Organization for Migration (IOM) Ambassador William Swing also officiated in the ceremony. Representatives from the eleven manpower-exporting Asian countries in the CP - Sri Lanka, Afghanistan, Bangladesh, China, India, Nepal, Pakistan, the Philippines, Thailand, Vietnam and Indonesia - participated in the Meeting, which was preceded by the Senior Officials Meeting. Cambodia was admitted as a new Member. 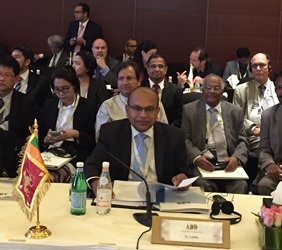 Sri Lanka has been unanimously elected to be the next Chair-in-Office of the 17 member ‘Abu Dhabi Dialogue’ (ADD) among Asian Countries of Labour Origin and Destination. Senior Officials representing member governments of the ADD at a meeting on 11- 12 May 2016 in Dubai, agreed to Sri Lanka’s proposal to host a meeting of Senior officials and the 4th Ministerial consultation in Colombo in January 2017. The Ministers responsible for Foreign Employment of the ADD countries will attend the Colombo Meeting. Afghanistan, Bahrain, Bangladesh, China, India, Indonesia, Kuwait, Nepal, Oman, Pakistan, the Philippines, Qatar, Saudi Arabia, Sri Lanka, Thailand, United Arab Emirates and Vietnam are members of the ADD. President Maithripala Sirisena has invited the International Organization for Migration (IOM) to host a global consultation in Sri Lanka, on the lessons learnt in advancing the health of migrants. The President extended this invitation in a special message to a panel discussion on 'migration, human mobility and global health', held during the 106th Council Session of the IOM held in Geneva on 26th November 2015, which was read by Ambassador Ravinatha Aryasinha, Sri Lanka's Permanent Representative to the UN in Geneva. The panel discussion was moderated by Ambassador William Lacy Swing, the Director General of IOM, while Dr. Margaret Chan, Director General of the World Health Organization was among the panelists. The Director General of International Organization for Migration (IOM) Ambassador William Lacy Swing has commended "the dynamic leadership that Sri Lanka has provided for the Colombo Process (CP) - the Regional Consultative Process on the management of overseas employment and contractual labour for countries of origins in Asia". He noted that "the outcome of the recent 3rd CP Senior Officials Meeting held in Colombo projects the prospects for further progress". Ambassador Swing in particular noted the efforts taken by Sri Lanka as a CP Chair to work closely with the Abu Dhabi Dialogue (ADD), a group of the 11 CP States and 7 labour receiving countries, in view to creating a better environment for migrants. Ambassador Swing said he intends to participate at the CP Ministerial Conference which is scheduled to be held in Sri Lanka in mid- 2016. 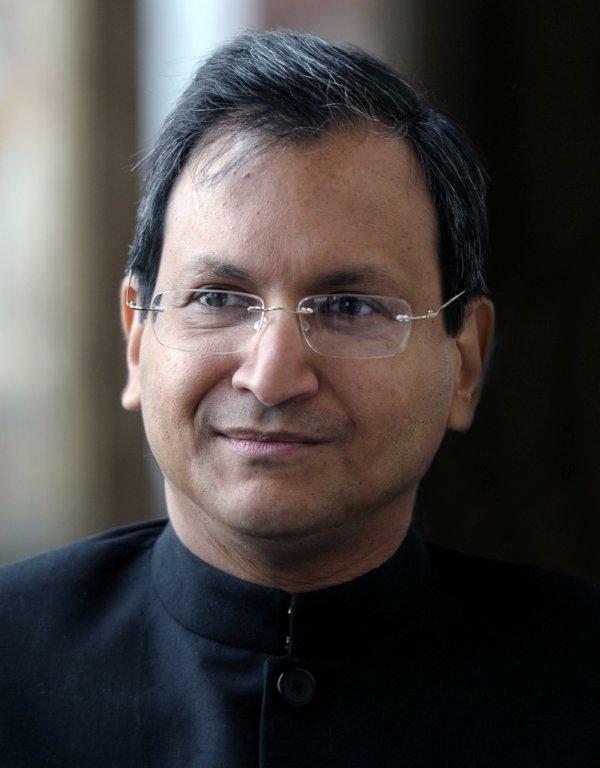 Ambassador Swing made these observations in responding to the statement delivered by Sri Lanka's Permanent Representative to the UN in Geneva Ambassador Ravinatha Aryasinha during the General Debate of the 106th IOM Council, which concluded in Geneva last Friday. 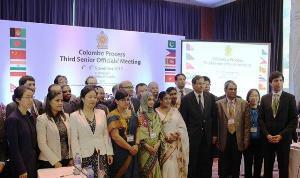 Colombo, Sri Lanka – A two-day Senior Officials’ Meeting of the Colombo Process (CP) held in Colombo, Sri Lanka on 4-5 November 2015 has resulted in far reaching concrete decisions and recommendations aimed at advancing collective efforts for safe and skilled labour migration management by sending countries in Asia. These include the setting up of a Colombo Process Technical Support Unit (CP TSU) in Colombo, to provide support to all the CP countries in pursuing the goals and actions set in the current thematic priorities of the CP and any other areas that the CP would agree to in the future. Hon. Ms. Thalatha Atukorale, Minister of Foreign Employment of Sri Lanka and Chair-in-Office of the Colombo Process delivering the key note address emphasized the importance of migrant workers’ contributions to economic development in both home and host countries. She reiterated Sri Lanka's commitment as CP Chair-in-Office to work towards the well being of all migrant workers of Asia, and to leverage the support of other Regional Migration Processes, as well as regional and international groups of nations and civil societies to achieve this goal. 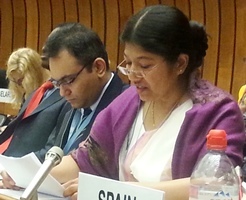 Sri Lanka's Permanent Representative to the UN in Geneva Ravinatha Aryasinha, has said the Colombo Process (CP) countries have shown that being competitors for the same markets and competing national interests has not stood in the way of collective action, and that contrary to conventional wisdom, cooperation in the field of migration must not necessarily be a ‘zero-sum-game’. 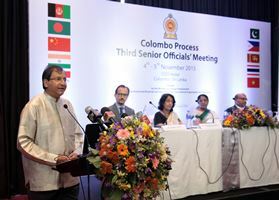 Ambassador Aryasinha, speaking in his capacity as the Chair of the Geneva-based CP Member States at the Senior Officials Meeting of the CP which opened in Colombo on 4 November 2015, noted the effective collaboration and action-oriented role of the CP to develop concrete actions and deliverables. 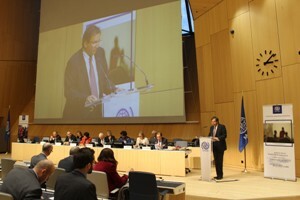 Sri Lanka’s chairmanship of the CP over the past two years has focused on five thematic areas: Qualification and skills recognition processes, Fostering ethical recruitment, Effective pre-departure orientation and empowerment, Reducing the costs of remittance transfer, Enhancing capacities of the Colombo Process Member States to track labour market trends. He said during Sri Lanka’s chairmanship, beyond the tangible results from the identified areas for cooperation, the CP had also strengthened its operational modalities, worked towards self funding, and also enhanced cooperation with other groups, including with the ADD, the EU through the Asia-EU Dialogue and the GFMD. Permanent Representative of Sri Lanka to the UN in Geneva, Ambassador Ravinatha Aryasinha said that in the Sustainable Development Goals (SDGs) which are incorporated into the Development Agenda, migration cuts across several aspects of development, including improving the quality of human mobility through well managed migration policies; displacement among issues related to peaceful and inclusive societies and Disaster Risk reduction; address trafficking in a comprehensive manner and action by Finance for Development Action Agenda which deals with remittances. Ambassador Aryasinha made this observation in his opening remarks while he moderated the Session on ‘Reflecting on the outcomes of the 2013 UN high level dialogue on international migration and development with a view to implementation of the 2030 agenda for sustainable development’ of the Fifth Global Meeting of Chairs and Secretariats of Regional Consultative Processes on Migration (RCPs) held on 21st October 2015 in Cairo, Egypt. Ambassador Aryasinha commended the significant role played by the IOM in actively contributing to the process of formulating the Post-2015 Development Agenda by advocating for migration to be recognized as an essential component of any future development framework and of national development policies and plans. Initiatives for migrants from the Asian region taken under Sri Lanka's Chairmanship of the Colombo Process (CP) was commended at the Fifth Global Meeting of Chairs and Secretaries of Regional Consultative Processes on Migration (RCPs), held in Cairo, Egypt, 21-22 October 2015. A series of initiatives aimed at boosting protection and improving conditions of employment for millions of foreign workers in the Gulf have been agreed upon at the Third Ministerial Consultative Meeting of the Abu Dhabi Dialogue (ADD) comprising Asian countries sending and receiving labour, which concluded in Kuwait last week. The 'Kuwait Declaration' noted that "recognizing that individual government's efforts may fall short, we resolve to work together to prevent and sanction exploitative recruitment practices that place workers at great risk and undermine fundamental rights". 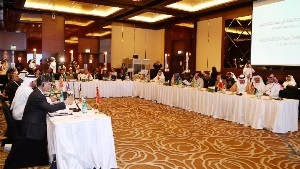 Ministers and Heads of Delegations from Afghanistan, Bahrain, Bangladesh, China, India, Indonesia, Kuwait, Nepal, Oman, Pakistan, the Philippines, Qatar, Saudi Arabia, Sri Lanka, Thailand, United Arab Emirates and Vietnam attended this meeting, held on 26-27 November 2014 under the chairmanship of Kuwait. 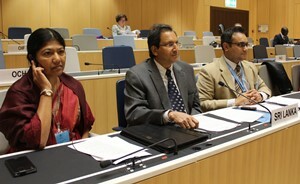 Sri Lanka's Permanent Representative to the United Nations in Geneva Ravinatha Aryasinha led the Sri Lanka delegation. Sri Lanka stated that a comprehensive labour migration policy has been developed, with a view to managing labour migration properly and orderly and to ensure dignity, security and equity for Sri Lankan nationals seeking employment abroad. The Government of Sri Lanka has taken concerted efforts in several policy key areas, namely, improving recruitment practices and educating labour agents, pre-departure orientation, empowerment of those migrants who have re-entered the country, facilitating cheaper, faster, and safer transfer of remittances. 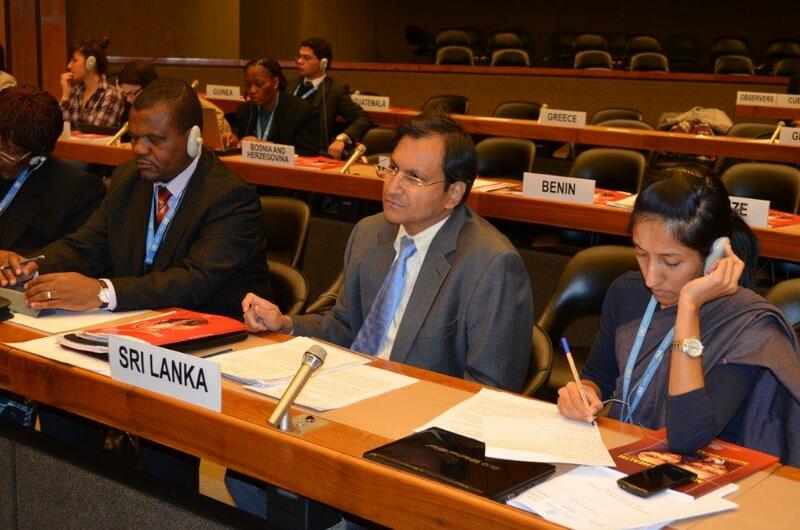 Sri Lanka’s Deputy Permanent Representative to the UN in Geneva, Mrs. Samantha Jayasuriya made this statement at the 105th Council of the International Organization for Migration on 26th November 2014 in Geneva. Sri Lanka's Permanent Representative to the UN in Geneva Ravinatha Aryasinha, has said Sri Lanka which took over the chair of the Colombo Process (CP) one year ago was of the view that if it were to make a difference and ensure that some real benefits would accrue to the people of the member countries, it was important that they address the tough issues, including 'Ethical Labour Recruitment Practices'. 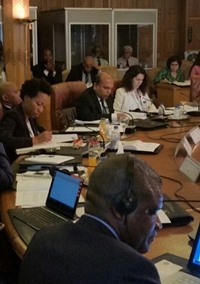 He noted that in ongoing deliberations the CP is seeking to harmonize existing national regulatory frameworks, promote Standard Employment Contracts (including addressing issue of contract substitution and create a registration mechanism for contracts), consider common minimum wage levels, and conditions that promote health and well-being and insurance protection, and to develop a common position on ethical recruitment practices. 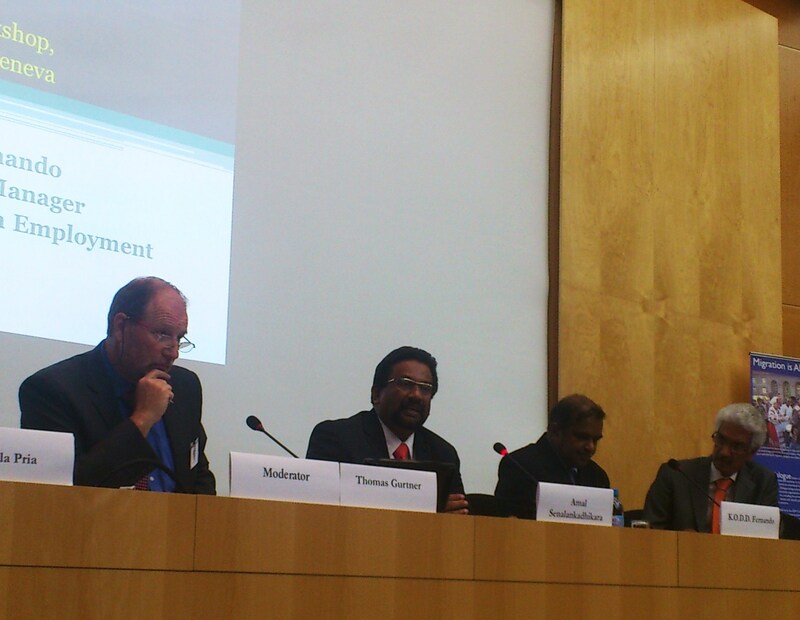 Ambassador Aryasinha made these observations and reviewed the progress made by the CP under Sri Lanka's leadership, when he addressed an Expert Consultation on Recruitment Practices and their Impact on Human Rights of Migrants, held at the Palais des Nations in Geneva on 31 October 2014. 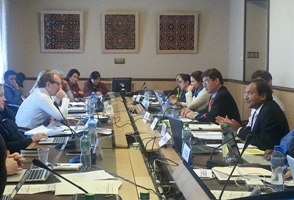 The consultation was convened by Mr. Francois Crepeau, Special Repporteur on the Human Rights of Migrants and was attended by diplomats, academics, representatives of the ILO and IOM, Recruitment specialists, as well as NGOs involved in the field. The first Senior Officials' Meeting of the Colombo Process under Sri Lanka's chairmanship reached a successful conclusion on Wednesday 7 May in Colombo with discussion and agreement on key labour migration principles, including the promotion of cheaper, faster and safer transfer of remittances, standard employment contracts, ethical labour recruitment, and cooperation and dialogue with the Abu Dhabi Dialogue (ADD). Established in 2003 in Colombo, the Colombo Process is a Regional Consultative Process on Labour Migration (RCP) of 11 labour sending countries from Asia comprising Afghanistan, Bangladesh, China, India, Indonesia, Nepal, Pakistan, Philippines, Sri Lanka, Thailand and Vietnam - all of who were represented at the meeting. The IOM, SDC and ILO were also associated with the Meeting. 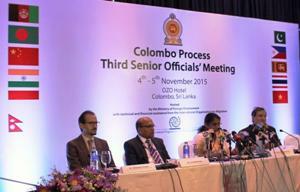 Sri Lanka assumed the chairmanship of the Colombo Process in October 2013. Minister of Foreign Employment Promotion and Welfare Dilan Perera met with his counterpart, Secretary Labour and Employment Rosalinda Dimapilis-Baldoz of the Philippines on Monday 6 January in Manila. The areas for collaboration discussed at the meeting included pre-departure orientation, qualification recognition process, comprehensive information orientation programmes and recruitment standards. Minister Perera and Secretary Dimapilis-Baldoz met in their respective capacities as the current chairs-in-office of the two Regional Consultative Processes on the management of overseas employment and contractual labour in Asia, the Colombo Process and the Abu Dhabi Dialogue, respectively. 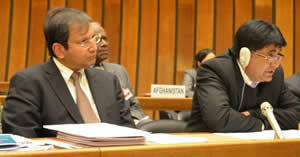 Sri Lanka assumed the chair of the Colombo Process, comprising 11 countries of origin in Asia, last October in Geneva. CP comprises Afghanistan, Bangladesh, China, India, Indonesia, Nepal, Pakistan, Philippines, Sri Lanka, Thailand and Vietnam, while ADD has a membership that includes all CP members, and additionally receiving countries Bahrain, Kuwait, Malaysia, Oman, Qatar, Saudi Arabia, Singapore, United Arab Emirates and Yemen. Ambassador Ravinatha Aryasinha, Sri Lanka's Permanent Representative to the UN in Geneva and Chairman of the Personal Representatives of the Group of Fifteen (G-15) has said the group recognizes the need to address international migration in a holistic and comprehensive manner, premised on the developmental paradigm of migration that is sensitive to the national circumstances of countries of origin, transit and destination and one that seeks to maximize the mutually beneficial nature of international migration while reducing its negative effects. He said the G-15 was committed to work together at both the regional and international level for the protection of migrants, and believed that the IOM should continue to play a lead role in discussions relating to the post-2015 development agenda on issues concerning migration. Minister of Foreign Employment Promotion & Welfare Dilan Perera has said Sri Lanka which recently assumed the Chairmanship of the Colombo Process - the Regional Consultative Process on migration, will do its utmost to share its experience and bring together the eleven countries and nine observer countries of this group to address common interests, including the mismatches between supply and demand and applying ethical concepts to foreign employment management. He said Sri Lanka will also play its full part in developing the post 2015 Millennium goal development architecture, emphasizing on Migration and Development. 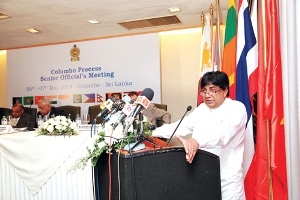 The Chairmanship of the Colombo Process wastransferred from the Government of Bangladesh to the Government of Sri Lanka during a meeting held at thePermanent Mission of Sri Lanka in Geneva on 21 October 2013. Sri Lanka's Ambassador to the UN in Geneva Ravinatha Aryasinha has said politically mobilized pro-LTTE diaspora sustain hatred and prevent reconciliation in Sri Lanka and that with groups having such a pre-disposition meaningful engagement was not possible. Noting that the transnational political opportunity structures prevalent in host states help shape and sustain such diaspora activism, he observed that countries which continue to condone with the hostility and disruptive tendencies shown by such pro-LTTE elements are giving a wrong signal. Sri Lanka's Permanent Representative to the UN in Geneva Ambassador Ravinatha Aryasinha addressing a Briefing on Migration and Healthheld at the International Organization on Migration (IOM) on 19th April 2013 has said the Government has readily recognized that migrants and their families left behind in Sri Lanka are vulnerable to migration related health challenges. Joint initiatives between the Sri Lanka Bureau of Foreign Employment (SLBFE), the Ministry of Health and IOM, have been established to ensure that the health-abuse of migrants is effectively addressed. Following a series of public consultations the draft 'Migration Health Policy for Sri Lanka' is to be formalized through its submission to the Cabinet of Ministers for final approval. Addressing the 101st Council Session of the International Organization for Migration (IOM) in Geneva on Friday (30 November),Sri Lanka's Permanent Representative to the United Nations in Geneva Ravinatha Aryasinha has observed that emphasis by the international community that Sri Lanka is now free from the dangers that constrained it during the time of the conflict, has been an important factor for those who left the country as refugees during the time of the conflict to return, with the joint assistance of the host countries, and organizations such as the IOM. However, at the same time illegal people-smuggling rings continue to rob families not only of their hard earned savings, but some times even their loved ones. Noting that the IOM, as well as a number of foreign governments, have in recent months acknowledged that the many Sri Lankans who continue to arrive on foreign soil illegally, are in fact economic migrants and not refugees, Ambassador Aryasinha said Sri Lanka remains committed to work with international partners toward raising awareness as to the dangers relating to illegal migration, with a view to end such practices. Full text of statement is attached. Mr Amal Senalankadhikara, Chairman of the Bureau of Foreign Employment and Mr Devseth Fernando, Additional General Manager of the Bureau of Foreign Employment took to the main podium at the opening session of the intercessional workshop, titled ‘Protecting migrants during times of crisis : immediate responses and sustainable strategies’, organized by the international Organization for Migration. The event was organized in line with the international dialogue on migration (IDM) for 2012, which aims to focus on managing migration in crisis situations. I would like to thank you for my election to Chair this session of the Executive Committee. I take it as an honour to my country which has recently joined the Executive Committee for the first time. I also congratulate the Vice President Mr. Osvald Alvarez of Chile on his election.